I cannot recommend this fascinating book highly enough. Simon Cotton, Chemistry & Industry, September 2014 In conclusion: A comprehensive introduction to the world of odours, not only for chemists. review in German: Monika Paduch, Gefahrstoffe - Reinhaltung Luft, October 2014 A comprehensive overview of fragrance chemistry Fragrance materials are universal, from personal care products to household cleaners, laundry products, and more. Although many of the scents themselves are synthesized in a lab, the actual mechanism of odour has long baffled chemists who attempt to model it for research. 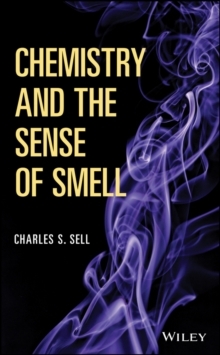 In Chemistry and the Sense of Smell, industry chemist Charles S.
Sell explores the chemistry and biology surrounding the human detection and processing of odour, providing a comprehensive, single-volume guide to the totality of fragrance chemistry. The correlation between molecular structure and odour is much more complex than initially thought, and the intricacies of the mechanism by which the brain interprets scent signals leaves much to be discovered. 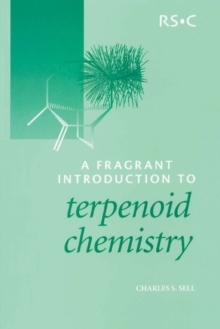 This book provides a solid foundation of fragrance chemistry and highlights the relationship between research and industry with topics such as: * The analysis and characterization of odour * The role scent plays in our lives * The design and manufacture of new fragrance ingredients * The relationship between molecular structure and odour * The mechanism of olfaction * Intellectual challenges and the future of the field Complete with illustrations that clarify difficult concepts and the structures of the molecules under discussion, Chemistry and the Sense of Smell is an all-inclusive guide to the science of scent. For professionals in the fragrance industry or related fields, this book is one resource that should not be overlooked.